EU member states on Tuesday (19 January) endorsed a plan to invest €217 million in cross-border energy infrastructure, including a major upgrade of gas networks in Central and Eastern Europe and a new power link between Britain and France. The European Commission is seeking to improve power and gas connections across the European Union’s 28 member states, in order to allow better distribution of available supplies as part of a single energy market. The EU is keen to reduce reliance on Russia, which supplies about a third of EU oil and gas. 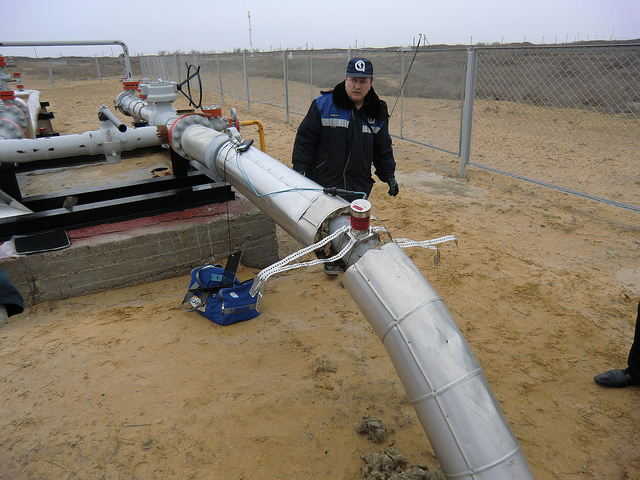 The dominant position of Russia’s Gazprom has become particularly divisive since relations between Brussels and Moscow deteriorated after Russia seized the Crimean region of Ukraine in 2014. The Commission wants every member state to have at least three possible sources of gas. “We must press ahead with the modernisation of our energy networks to bring any country still isolated into the European energy market,” European Climate and Energy Commissioner Miguel Arias Cañete said, announcing the funding. Of the 15 proposals selected for total funding of €217 million, nine are in the gas sector and six in the electricity sector. Called projects of common interest because they benefit more than one member state, the projects are entitled to accelerated planning permission as well as EU funding, which the Commission hopes will attract private sector cash. Most of the 15 projects are in central and southeastern Europe, where dependency on Russian gas is most marked. They include studies to modernise the Bulgarian gas transmission network and interconnectors linking gas networks in Romania, Bulgaria, Austria and Hungary. “Today, we are targeting those regions in Europe which need it the most,” Cañete said in a statement. Spain will get its share as well, with studies to link up the Iberian Peninsula with France, and connect gas supplies from Algeria and Spanish LNG terminals with the rest of Europe. The new funding will also help pay for a grid link between France and Britain being built by Britain’s National Grid and France’s Reseau de Transport d’Electricite (RTE). Britain is not directly affected by the Russian crisis as it is not dependent on its gas, but it is nervous about the adequacy of national supplies and the extra costs it might incur from emergency back up plans. Interconnectivity – of both gas and electricity grids – is seen as a key for EU member states to wean themselves off their dependence on Russian gas, and manage higher shares of variable renewable energy. The European Commission wants cross-border links to equate to at least 10% of a nation's power generation capacity by 2020, and some of the projects would be financed by the €315 billion Juncker Plan. The executive has estimated that about €105 billion is required to upgrade Europe’s aging electricity infrastructure, with €35 billion needed for cross-border interconnections alone. The 10% interconnection target is a central part of the Commission’s Energy Union plans. However, it can hardly be seen as new, having already been decided by EU leaders over a decade ago, in 2002. But the target has remained elusive for now. I don’t mind who we connect up to so long as we aren’t beholden to the EU for our energy supplies & energy can’t be used as a tool against us. Just be glad you don’t live in eastern Europe, where Putin would have you by the balls. They chose to go with his cheap Oil & Gas & got hooked on his drug. We were hooked on NCB coal for decades held to ransom year after year we broke the hold they had on the country & now Scargill & his kind are assigned to the history books. Everyone has choices.